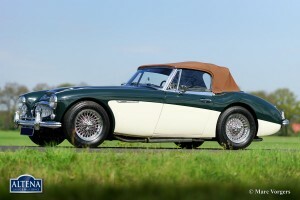 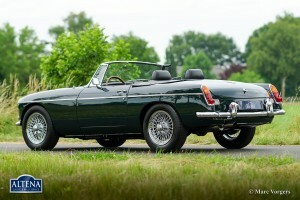 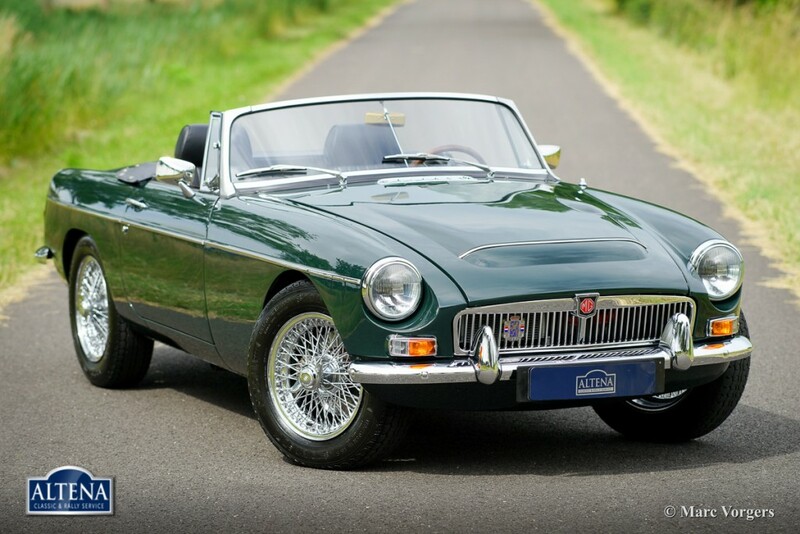 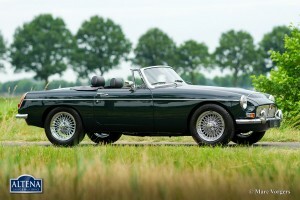 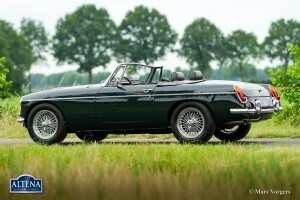 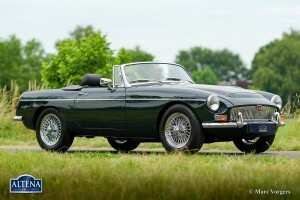 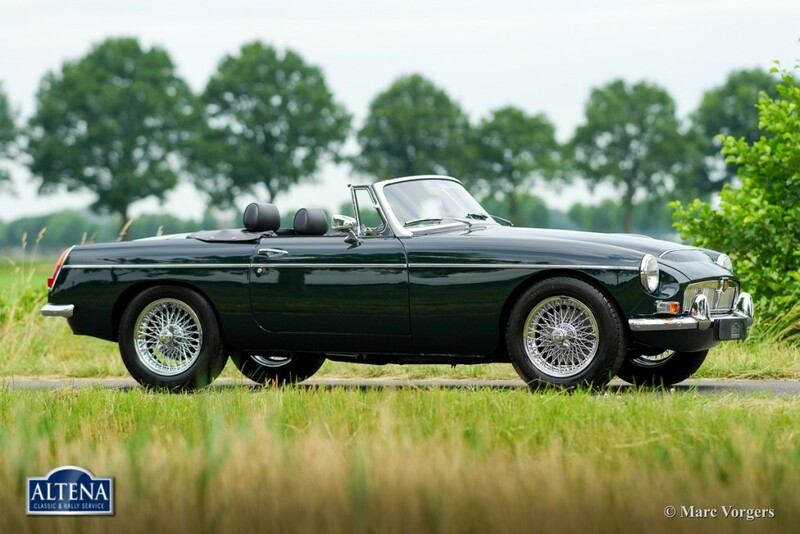 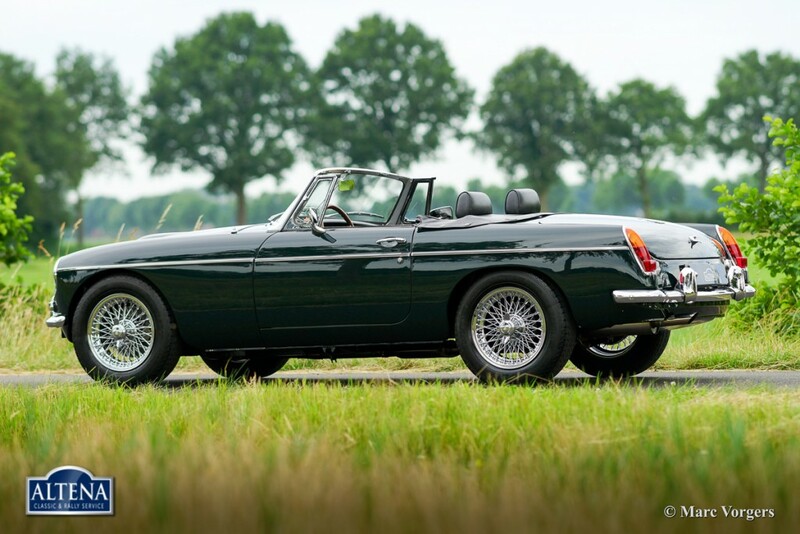 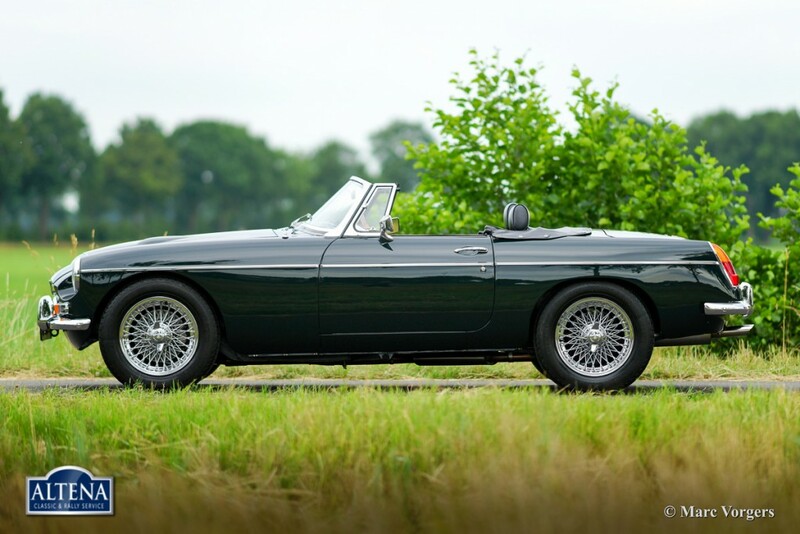 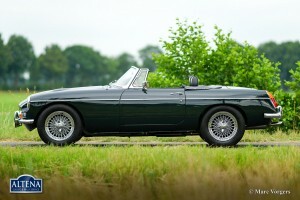 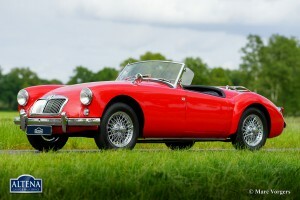 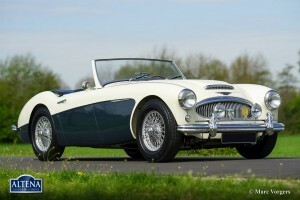 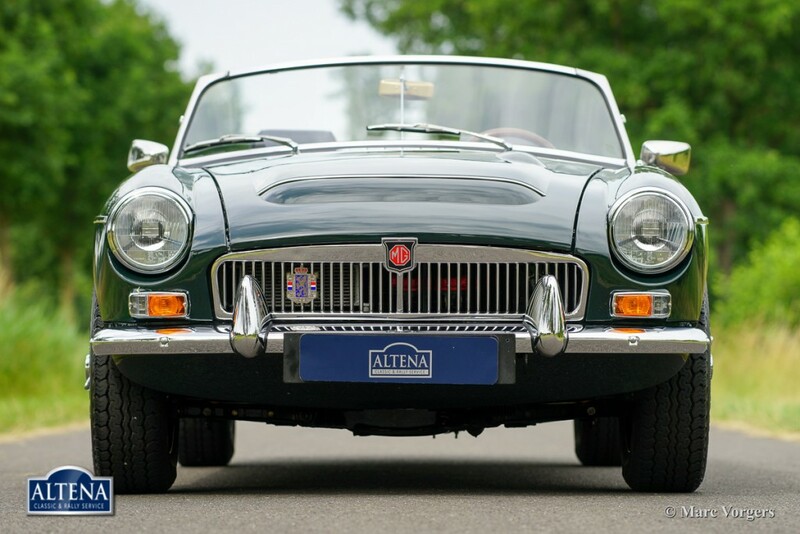 MG MGC roadster, year 1968. 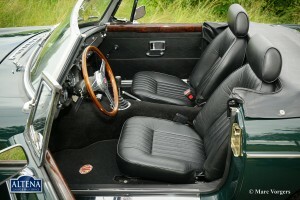 Colour dark British Racing green with a black leather interior. Black carpet, black soft top and a black hood cover. 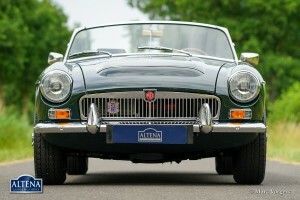 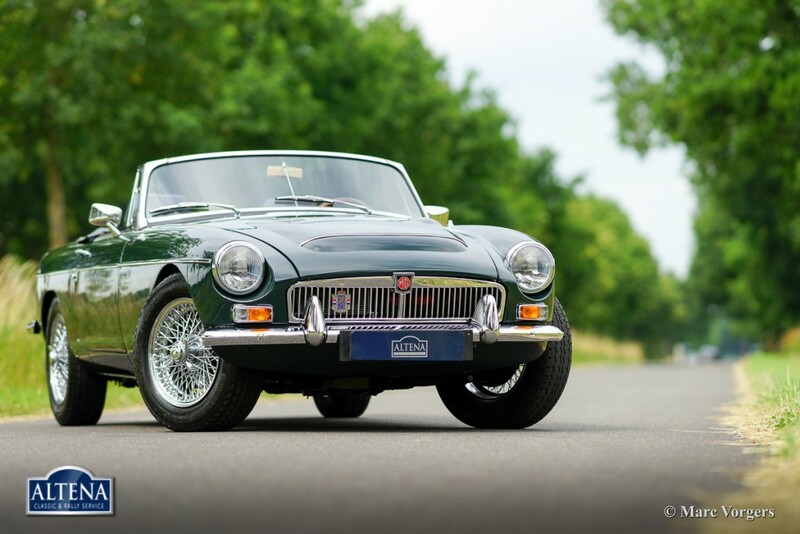 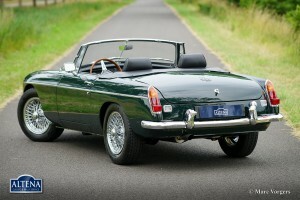 This magnificent MGC was extensively and ‘body off’ restored a few years ago. 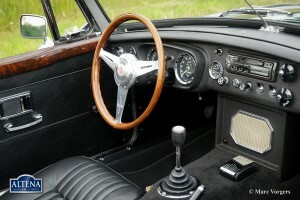 The automobile is in superb condition and the car drives perfectly. 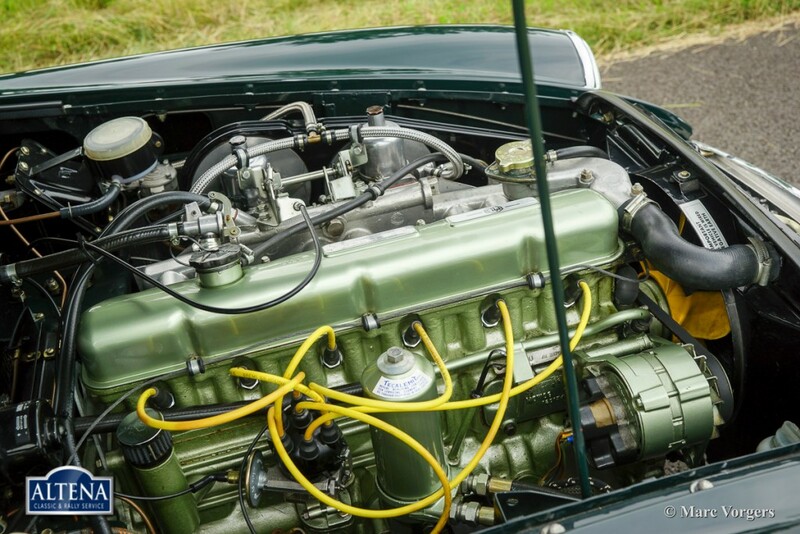 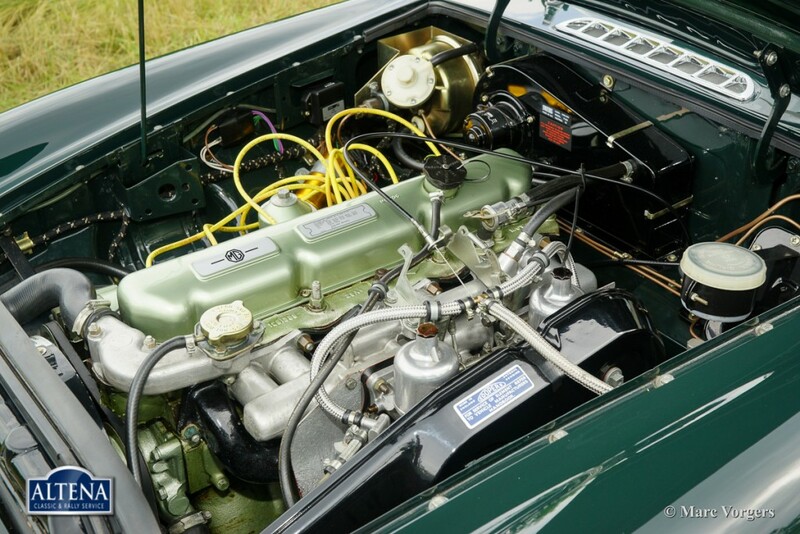 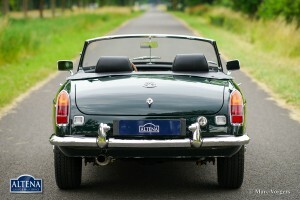 The MGC is the six-cylinder version of the MGB. 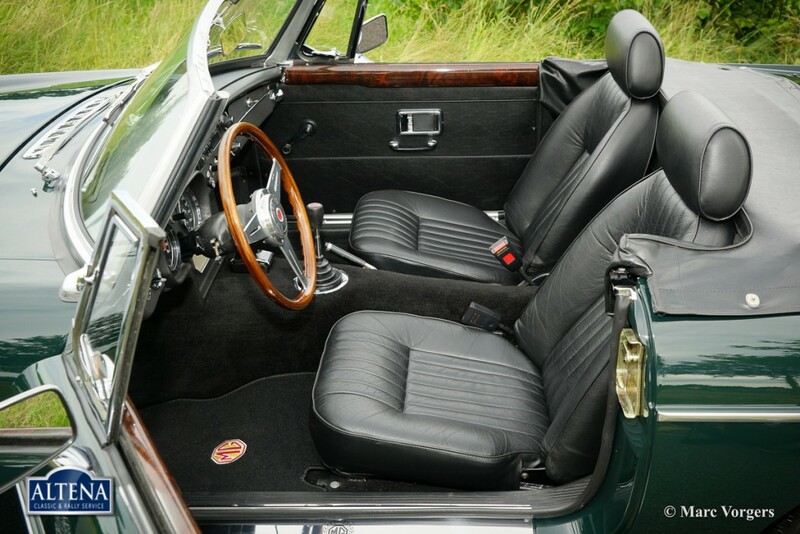 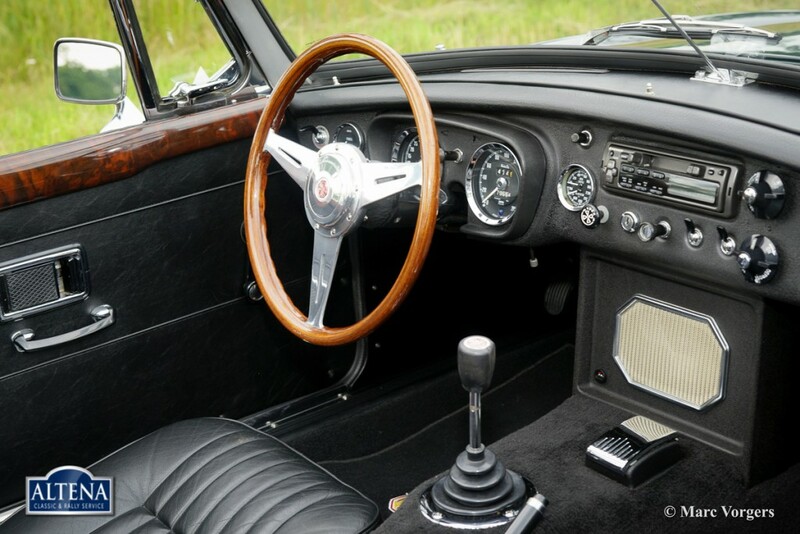 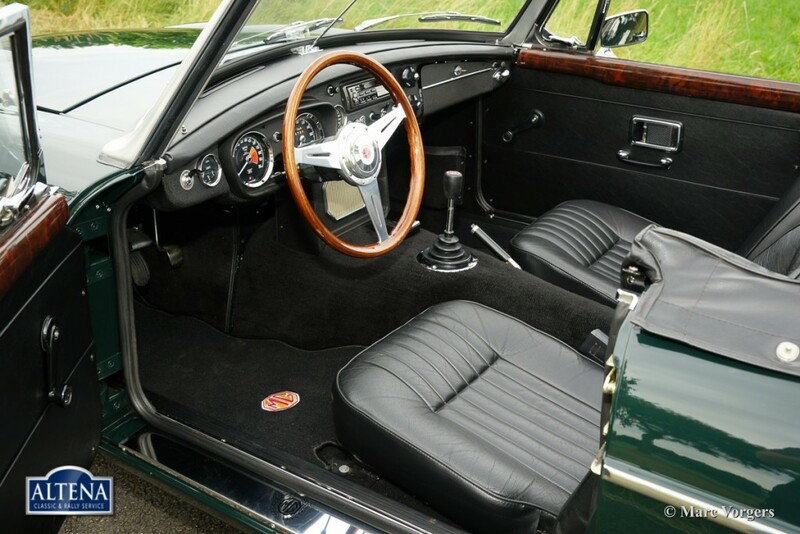 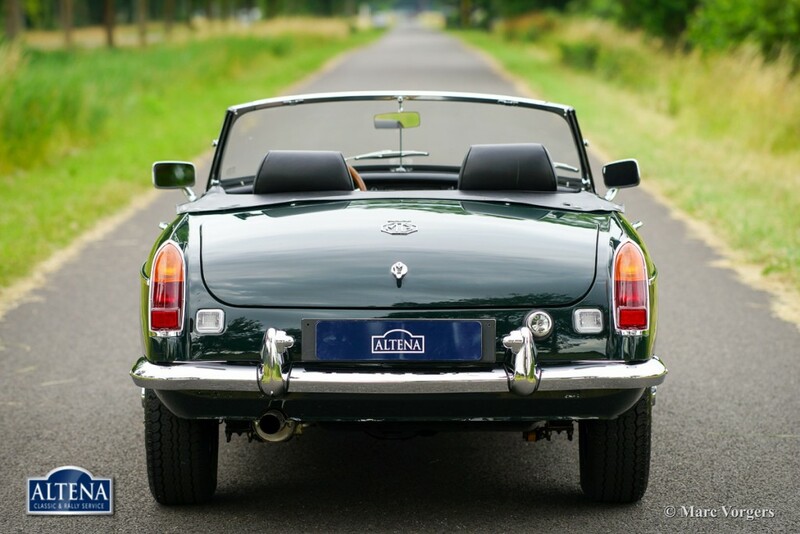 The car shares the same practical qualities with the MGB but in the MGC one can enjoy life with the tune of a rugged six cylinder engine note. 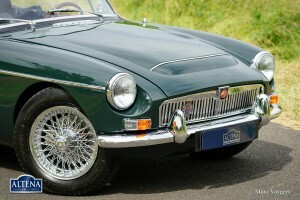 This MGC is an original European car. 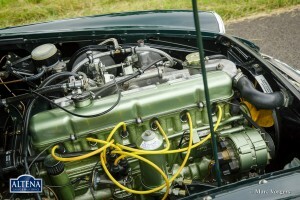 The car features a Stainless Steel exhaust and chrome wire wheels.